His ancestors had dedicated a Temple around 10th century BC to Yahweh. But Nebuchadnezzar II destroyed it around 587 BC during the siege of Jerusalem, by Babylon. It had taken many years to build that Temple. He grew up, and rose to become one of the most important men in Persia (in modern Iran): a cup bearer to Artaxerxes, king of Persia, and later, the king made him a governor of Persian Judea. To rebuild the Temple, the king gave his permission to use timber from the king’s forest. In the imperial Persia, which had conquered Babylon, commanding the territories with military and economic powers, the king’s timber went with the king’s builders and security. The wall was rebuilt within 52 days despite oppositions from Samaritans, Arabs and Philistines. 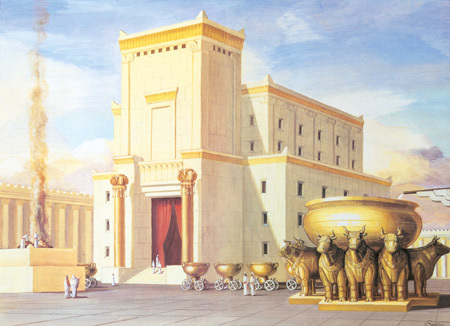 Yes, Nehemiah rebuilt the Temple circa 408 BC – the very one that stood in Jerusalem during the time of Christ. Later, Roman Generals Titus and Vespasian destroyed it along with the Ark during the siege of AD 67. I am yet to read of any man that understands foreign policy, diplomacy and large project management better than Nehemiah. When Artaxerxes made him governor, he gave him support. Nehemiah worked for that support. The king provided him with resources. And even though enemies came, during the rebuilding, he was able to execute the mission at a very short time. Persia was the superpower; Nehemiah had the support of the best military and the strongest economy behind him. He succeeded. Yes, Persia partly funded the rebuilding of the Temple which Babylon (modern Iraq) had destroyed. Power was shifting rapidly: from Babylon to Persia, and Rome. It continues to modern America, from Great Britain! Nehemiah was brilliant – he understood the challenges in the region with all the battles. He could not have accomplished anything without the authority and support of the king. He mastered the art of diplomacy – the Nehemiah Diplomacy. The Nehemiah Diplomacy is a type of diplomacy where a quasi not-free man can ask his master to allow him to go back to rebuild his city, requesting that the master partly funds the project, and provides security. He did not just want timber; he wanted the one from the king’s forest meaning that the king was on absolute support. In imperial Persia, wasting timber from king’s forest was a punishable offence. So, any project that received timber supplies from the king’s forest was as good as executed. And only the most important projects qualified. As the aides shipped the timber, the guards would follow, making sure that none was wasted. Another set of guards would monitor compliance. Simply, Nehemiah would have failed without the resources and the security offered by the king which helped as he battled the enemies. If he had used any timber that was different from timber from the king’s forest, he would have failed. Understanding the situation in the region, and asking for the king’s timber was the reason he executed within 52 days. You must have the capabilities to decipher the most important component to have a successful project. And you must make sure you have that component. Nehemiah teaches us something on project management. One has to plan ahead especially in places like Nigeria. It is very common for companies to win contracts and then abandon them within weeks due to problems from Boko Haram and Niger Delta militants. Nehemiah thought through all phases: resources, security, etc. Within the 52 days it took him to rebuild a Temple that took many years to build, he fought minor battles. Getting the support of key business leaders on critical projects are important and planning ahead remains vital. And in all, knowing the critical success factors like a timber from a king’s forest could be catalytic in delivering projects on time.